A 100% British and Irish beef burger with Big Mac sauce, cheddar cheese, Beechwood smoked bacon, Batavia lettuce, tomato and grilled onions in a toasted Brioche-style bun. 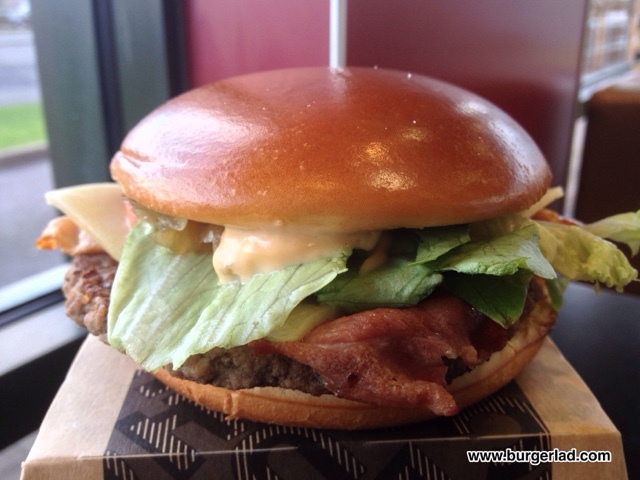 Finally… The Bacon Clubhouse (With Big Mac Sauce) comes to McDonald’s UK. We’ve been waiting patiently for it. You’ve been patiently waiting for it. Now we can all share in the glory of the Bacon Clubhouse together. First available in early 2014 in the USA, the Bacon Clubhouse has been available in many, many countries around the world and I thought the chances of it appearing on the UK menu were just starting to diminish. Admiral Burgerbar even travelled to Belgium to review it there and it was without a shadow of a doubt, the number one McPick for our 2016 McDonald’s wish list. What do you ask, makes the Clubhouse such a coveted burger? One answer. Special Sauce. 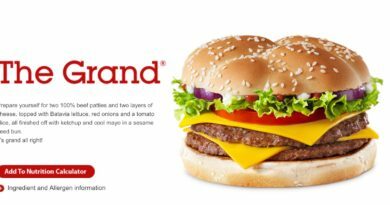 Yes Ladies and Gentleman, this is the only burger on the McDonald’s menu apart from the iconic flagship Big Mac to feature the talismanic Special Sauce. The sauce which has just been made available to buy in very limited numbers in Australia. 4,000 bottles were for sale to the public (40 restaurants got 100 bottles each) and apparently most sold out within 15 minutes of going on-sale. Predictably, some 500ml bottles starting to appear on eBay and Gumtree – obviously at inflated prices. 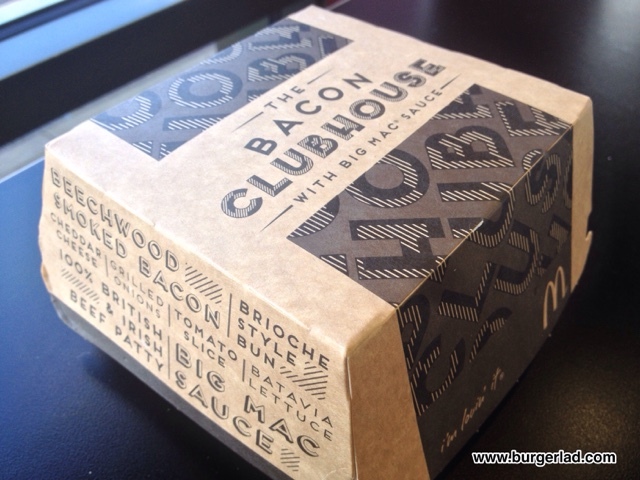 We reported on the release of the Bacon Clubhouse last week (original news story below) but we had to wait until Wednesday to put it to the all-important taste test. It was a good job I checked Twitter prior to setting out! As of writing, no cash is being accepted at McDonald’s due to a nationwide issue with taking card payments. Thank you Twitter (and my friend who “leant” me a fiver). As I approached my local McD’s I could see the warning signs about cash only payments – I practically kissed the note I was holding. After placing my order, I was offered to take a seat and they would bring it over but I declined. Instead enjoyed watching the crew member (under pressure) carefully assemble four Clubhouse burgers. One would be mine…MINE. I was presented with this stylish promotional box at approximately 10:38am – not bad for that handover. The packaging gives out the impression of eating something “premium” and has a grown-up, almost hipster design which started with The Grand and then more so the BBQ Smokehouse last year. What I received was a good tidy build. Very good presentation in fact and not a million miles from the promotional picture. 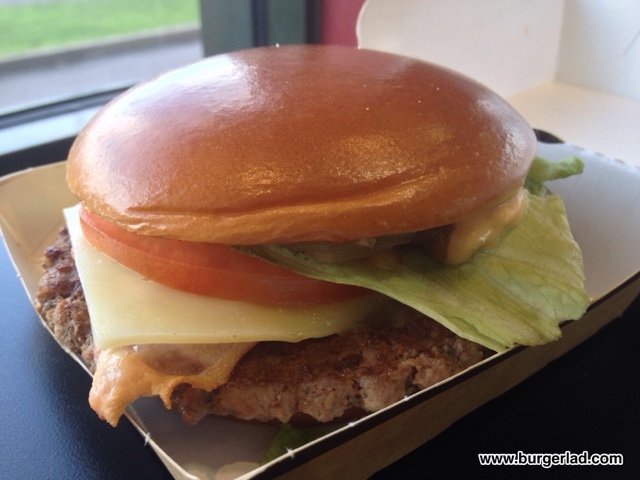 The patty (the same they use on the Quarter Pounder apparently) does look rather large protruding out of the bun which seems slightly too small. The bun itself appears to be the same one used for the Signature Collection and was shiny and glistened and upon further inspection had been toasted just right. I had my first bite. I’d been waiting nearly two years for this moment and at first it was a strange sensation. Biting into a McDonald’s burger and tasting Big Mac sauce but without the familiar elements of pickles and a sesame seeded bun. It was strange. Strange but brilliant. I like this burger. I like it a lot… and I am glad to report the wait was worth it. The overarching taste is that Big Mac sauce and it works wonderfully with bacon and unbelievably fresh tomato!! Testament to the Bacon Clubhouse I ate the entire burger with the tomato left on and found myself really very much enjoying it. The bacon wasn’t overly boisterous in terms of flavour (alright I have been spoilt recently by the likes of the Almost Famous River Phoenix) but I picked up a hint of a smoked flavour here and there. The onions didn’t attempt to steal the show either. Instead acting in a supporting cast with a faint tang just now and then but highly enjoyable all the same. The beef patty was a decent standard and I had no complaints. 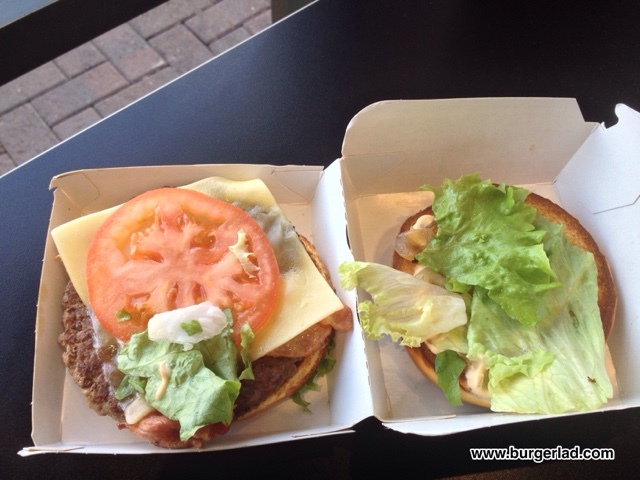 It wasn’t dry or greasy and had that distinct familiarity of a McDonald’s burger. Now if you look at the pictures of the cheese some people don’t like it when it comes out like this. Personally, I do as 1) it means the burger hasn’t been held in the warming bays and has just come off the assembly line and 2) no dreaded burger slide. The taste of the cheddar isn’t going to win “West Country of the Year” award or anything like that but I found it very respectable for a high street burger. There isn’t really much to comment on the lettuce. It was as fresh as it gets and a welcome component and I’d definitely say its better having it on than off if nothing more for the texture it brings. As you can tell, I enjoyed the Bacon Clubhouse and McDonald’s customers should not be disappointed by their latest limited time promotion. 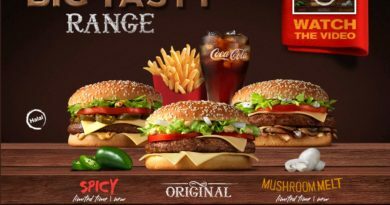 Expect to see expert social media commentary such as “bring back the Big Tasty” (no they don’t always hold the ingredients for this in their restaurants) and “the sauce should only be on a Big Mac hence the name”. It is a strange sensation to taste a McDonald’s burger other than a Big Mac with THAT sauce but that is what makes this burger. Overall, it is a super addition to the menu, if only for a brief time. You get that Big Mac sauce which lingers on your palate long after the last bite has been taken (and guys it didn’t take me very long to get to the last bite!). I dislike fresh tomato with a passion but it works. It works really well and bacon and that sauce together with the mellow onions is a winning combination. There’s no stand out ingredient, but as an ensemble they work brilliantly together. 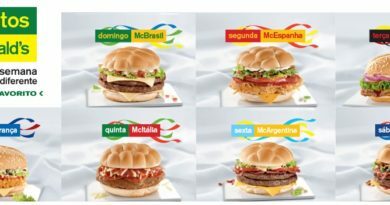 This is a must for any McDonald’s fan that has not sampled it overseas, and if you have already, it might be worth getting reacquainted. 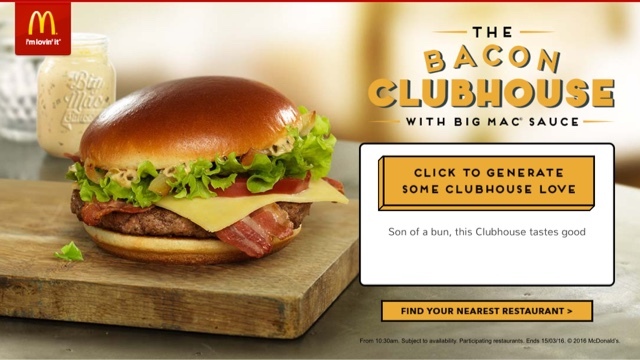 The Bacon Clubhouse (with Big Mac Sauce) is available until Tuesday 15th March 2016. 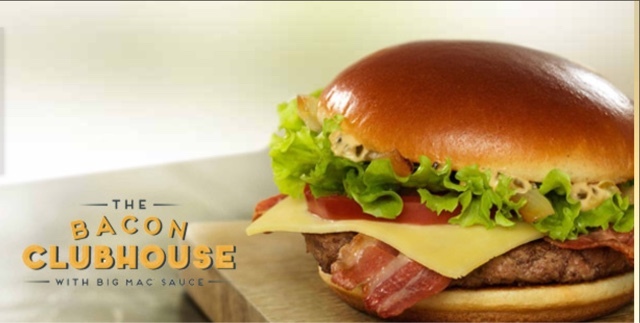 The Bacon Clubhouse is coming to the UK! The burger which first saw a release in the USA in 2014 arrives in the UK from Wednesday 3rd February. This was our number one pick in our 2016 wish list, Admiral Burgerbar reviewed the Belgium version last year and recently I actually woke up at BLHQ having dreamt this was coming next. Worrying… and a true story! The U.S. version weighs in at 740 calories and I’m putting money on the UK version being lower in the kcal count. Looking at the photo it looks like white cheddar is certainly missing from the one we’ll be getting on Wednesday. 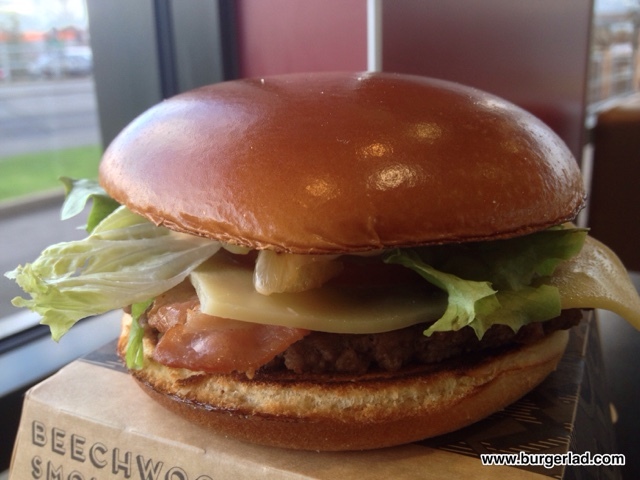 The “special” thing about this burger is that it is pretty much the only burger on the McDonald’s menu other than the iconic Big Mac to feature that Special Sauce – we’ll discuss this in more detail in our review next week. In the meantime, confirmed. 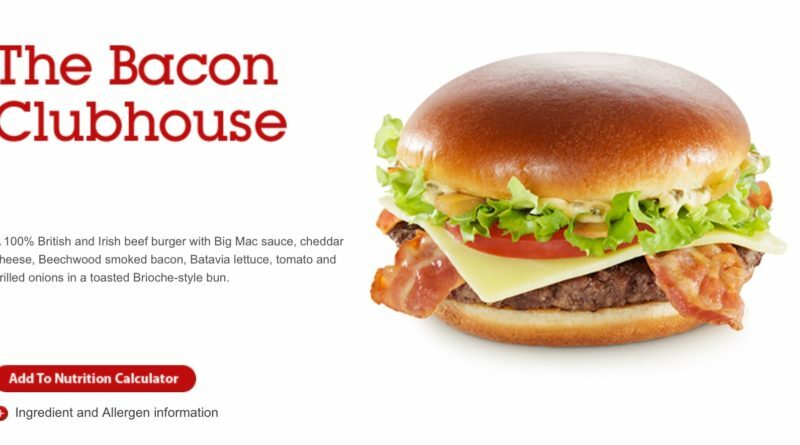 Bacon Clubhouse coming to McDonald’s UK Wednesday 3rd February. Called it. Also on the menu will be a Chicken Legend with Bacon, the Sausage & Bacon Sandwich, Mozzarella Dippers and a Galaxy Ripple McFlurry. Really nice burger apart from the freshness of the bun, always a let down from McDonald's though, so was expected! 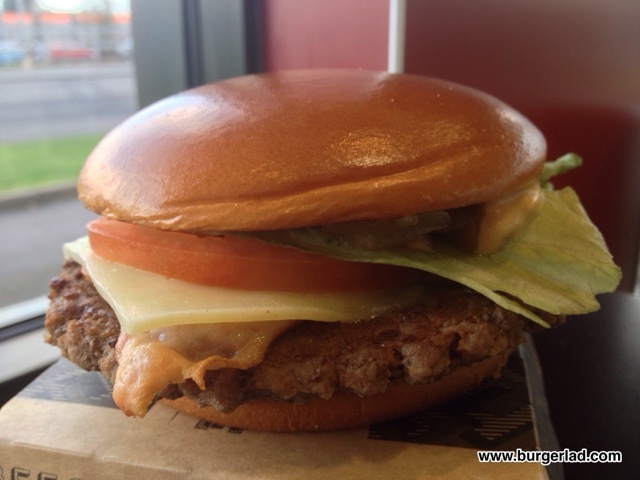 Tastes alright but the bun was too chewy and dry i couldn't taste the sauce as well as in a Big Mac. For the price i was expecting much more and felt disappointed.